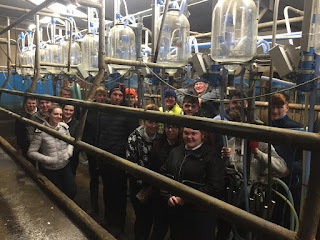 The aim of this blog is as an additional learning resource for students who are taking Ag Science for the Leaving Cert in Magh Ene College. Use the various labels below to navigate to the section you wish to revise. 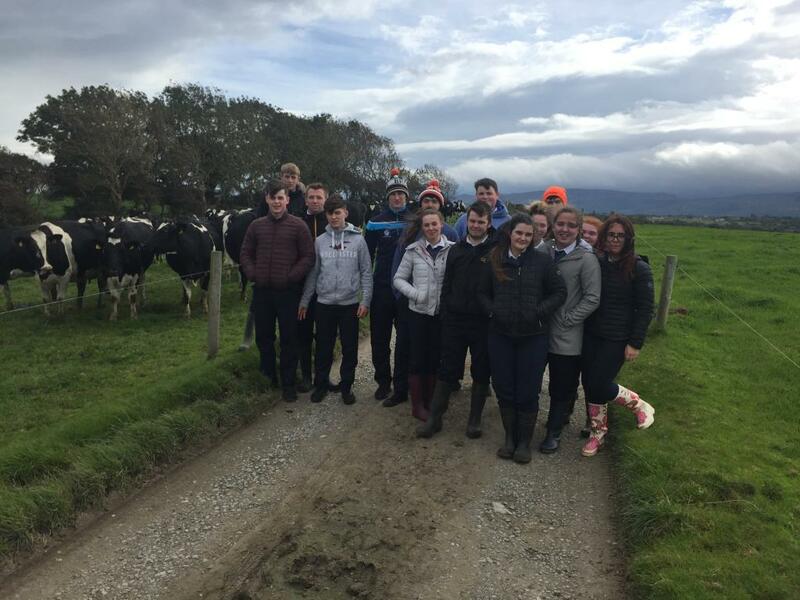 Leaving cert Ag Science students visited a local Dairy farm today as part of their LC project work. Many areas of the curriculum was covered including grassland management, dairy production , genetics and soil development. It was an extremely informative and worthwhile visit and many thanks to Noel and Raymond Harte for hosting us. Some of the details to be covered in write up for project along with photographs. when and why you carry out all tasks. I have highlighted particular jobs which you need to know the reasons why you do them. 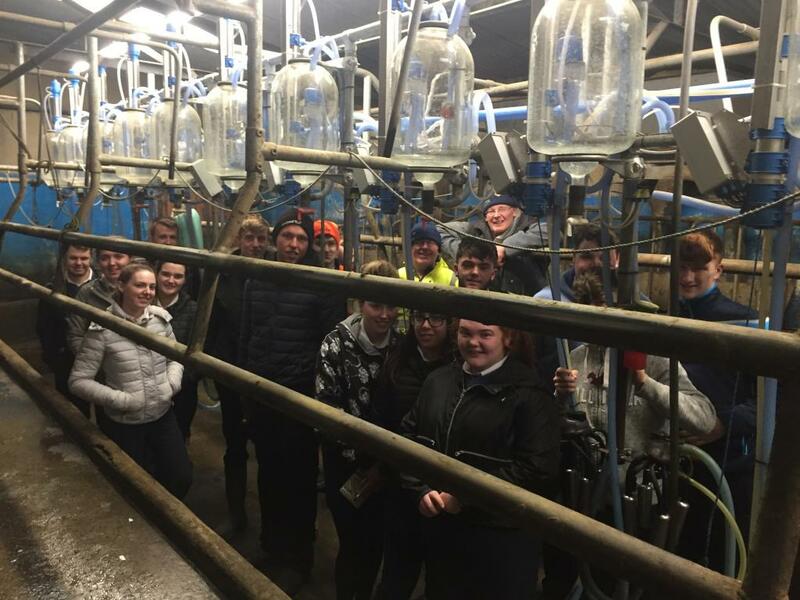 Jobs for both cows and calves are listed. These guidelines are sourced from the Better Beef Farm's Health plans. These can also be used as a template for your project if you are focusing on Beef. Photos from today's experiment on the effect of light rate on Photosynthesis. Please watch the clip below to revise. Silage analysis from our last field trip in Feb 2018. I have highlighted important terms for LC Ag Science below. Field reseeded in July 2015 with Perennial Ryegrass/Clover mix. Cut in morning and baled that afternoon as rain was forecast the following day. is an accurate and reliable test of the feeding value of this silage. DMDs of 70% and over are good and we are quite happy with the this result. The DMD result is used to estimate energy of the silage, as well as expected live weight gains/milk yields and planning supplementation rates. Measures the usable energy of the silage which is higher at the young leafy grass stage and lower at the hay stage. Our value is good but could be improved by cutting the grass earlier when it is more leafy. This would however reduce the number of bales. pH, normally 3.8 to 4.2, measures the silage acidity and so the ability of the silage to store. Reduced intakes can occur with too low a pH while a high pH in low dry matter silages can be an indicator of poor fermentation. .
Levels are a direct reflection of the quality of the grass at the time of harvest. Young leafy grass produces high protein silage while older stemmy grass produces low protein silage. Protein levels in grass can also be much higher earlier in the silage season than in mid-summer. This is the amount of silage material after water has been removed. Generally the higher the dry matter the higher the potential intake of silage. However silages that are too dry can give rise to moulds and heating. We would not be overly happy with this as ideally we would like the DM to be +30%. Unfortunately we were unable to let the grass wilt for 24 hours after cutting as heavy rain was forecast for the following day. Ideally we would have cut the grass in late afternnon to ensure high sugar content and wilt. We did shake the field once before baling to remove as much water as possible. The results from the soil sample taken in October 2017 from our first Field trip have came back. Please open to the document to see more clearly. I have edited so as to highlight the areas important for your Ag project. The have a yellow star beside it. pH - the acidity of the soil. Ideal pH for grass is 6.3 Can be improved by adding lime. On our farm all fields could do with some addition of lime. One field in particular needs particular attention. Which one? We will apply lime to this field over the course of 2 years as you should never apply more than 2 tonnes per acre in any one application as this will badly affect soil structure. P and K - The phosphorus and potassium levels are graded on an index from 1 to 4 with 1 being the lowest. It is advised that all grasslands should be at index 3 to make the best use of all fertiliser applications. We need to address this in most fields. The most cost efficient way is by spreading slurry and FYM though we may use a compound fertiliser like 18-6-12 to help this. Overall we have found many benefits from taking this particular soil test. It highlights nutrient deficiencies in areas of our farm and as such gives us the knowledge how to address it. It must be noted that achieving best conditions in all fields will not be required as our farm has a low stocking rate and as such the input improvement costs need to taken into account when progressing the farm business forward.